These Children Inspire Us And Challenge Us To Accomplish Incredible Things While Doing God's Work! The Salvation Army is the sole provider of a school for blind and visually impaired children and children with blindness combined with epilepsy, cerebral palsy , autism and deafness in Jamaica. Provision is made for 130 children on a secure Campus, which includes a varied expression of Salvation Army ministry, namely, a children’s home, a residence for blind adults, a Salvation Army Corps and basic school. This engenders a sense of community. The students from the time of enrollment are taught to see with the eyes of the heart so that they absorb hope and achievement as opposed to doubt and despair. Positive self-esteem is a vital lesson. Students are aged 5 to 18 and during term time they remain as boarders at the school, returning home for holidays. Those who live locally are encouraged to return home at weekends. In this way the family links are maintained. Where children do not have homes to return to the statutory Social Services have a duty of care and assign a caseworker to the child. The comprehensive provision by the Salvation Army can be used to provide care outside term time. The advantage and co-operation of the wider Campus is acknowledged. The need of a child for special education for the visually impaired is confirmed by an ophthalmologist. Common conditions that present themselves include congenital cataracts, glaucoma, macular degeneration and corneal scarring. The school was established in 1927 and until 1956 remained as a voluntary and private provision with no government help or recognition. The high standards of academic competence and equality with sighted students resulted in government recognition. Students where possible are integrated into high school and we have seen notable achievements with some receiving university education. Past students have become qualified in numerous disciplines including physiotherapy, teaching, audio typing, clerical work music and other professional careers. The School for the Blind offers a curriculum commensurate with primary schools for sighted children. Studies are augmented with instruction in compensatory skills including life skills, mobility, orientation, keyboard and computer skills and Braille. We are proud that our library contains the largest selection of Braille books in the Caribbean. Since 1969 a deaf/blind unit has been in operation providing for the sufferers of rubella, which is sadly not uncommon in the Caribbean. The current campus has housed the school since 1972 and benefits from ample walkways and guide rails, which assist orientation, mobility and confidence. Spacious classrooms and building are constructed to withstand disasters in terms of hurricanes and average earthquake, which is part of Caribbean life. Where possible opportunity is given to attend mainstream schools while continuing to board at the school. This is positive for the student and also we believe for the school they attend. By way of support a teacher from the School for the Blind visits the schools involved to give additional aid to both teachers and students. The Staff at the school cover numerous disciplines but the team focus is essential. The practices are determined by the statutory Education Code. The Board of Management is the designated governing body as required by the Education Code. The School for the Blind is classified as a Denominational School. The Parent Teacher Association meets twice annually and the Old Student Association involved past students to remain involved and identified with the school. The provision of good and positive life experiences, simply to see the children enjoying life is important. The campus has a games field and swimming pool, which are well used. Links with Lions Clubs and Kiwanis Clubs as well as the Quest Mission Team led by Dwight Sayer have made possible the provision of birthday parties and competitions, donations of equipment, materials, access technology and campus improvements like, washing machines, dryers, industrial fans, irons/ironing boards, screening, windows and more. The school provides Christian Education opportunities in Sunday School and Clubs. The format is through music, bible stories and interactive activity. Links are established with the Corps on Campus and a group normally attend Sunday worship. Special Events enhance school life and include a Christmas Concert, a two day Sports Event and a Summer Fun Fair. 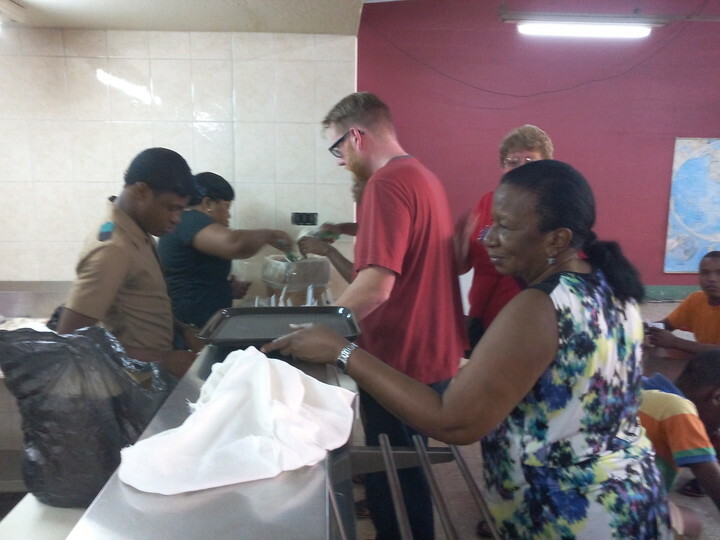 Quest Missionaries again led by Dwight Sayer provide Ice Cream Socials, and Jamaican Patty Parties. Many of the parents have difficulty meeting the fees and an annual fundraising event helps in some way. Sponsorship Funds are limited and do not cover boarding costs. The Statutory Bodies are slow in meeting their financial obligation and this makes for difficulty. We value the help of the wider Salvation Army and the various community organizations and mission teams that visit our campus. The Quest Mission Team visits each year in January and always brings wonderful donations of needed maintenance, equipment purchases and access technology for the children. Mr. Dwight Sayer a blind missionary from Central Florida brings the Quest Team and other missionaries with the same interests and focuses his efforts on challenging the students to be the best they can. This past January 2011 he challenged the students to an essay contest, with prizes for all who participated. The grand prize was a Dell Computer and all the accessories including access technology. Second prize was a DVD Player and the runners up all got headphones to listen in computer lab to their individual school computers. and to function as a normal person in society’. By God’s Grace and with the help of so many that has been achieved, is being achieved and will continue to do so. make a gift to this wonderful effort! Blind children Ministries Winter Garden FL, Blind Schools In The Caribbean winter Garden FL. 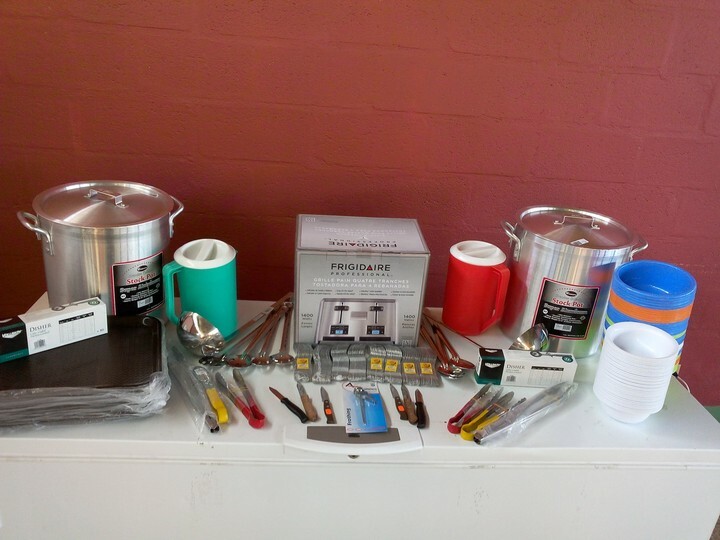 Just Some OF The Things We Provided To The School This Year To Make Life And The Food Better For The Children. Below You Will See The Children During This Years Ice Cream Social ! With David Barnwell , Claudette Robinson , and Patty Sayer Serving! DaviBlind children Ministries Winter Garden FL, Blind Schools In The Caribbean winter Garden FL, Blind Children Salvation Army School For The Blind Winter Garden FL. IT IS ICE CREAM SOCIAL TIME!! 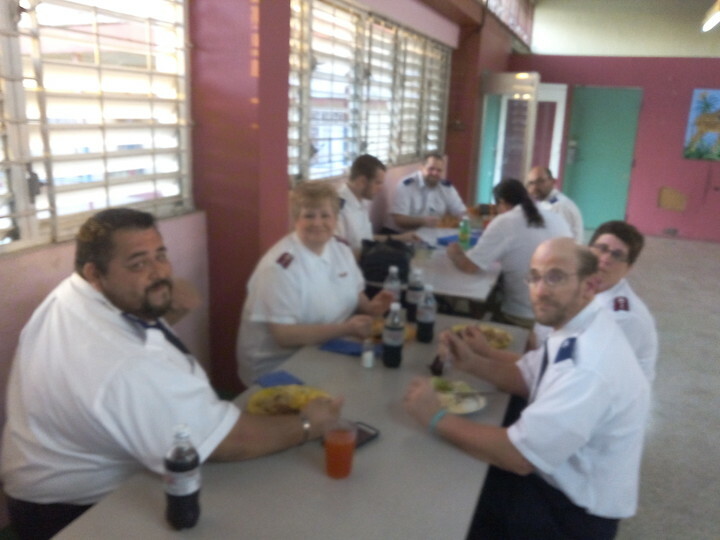 This Is Some Of The Salvation Army Missionaries From Minnesota Down Working On One Of The Raetown Churches Kitchens. 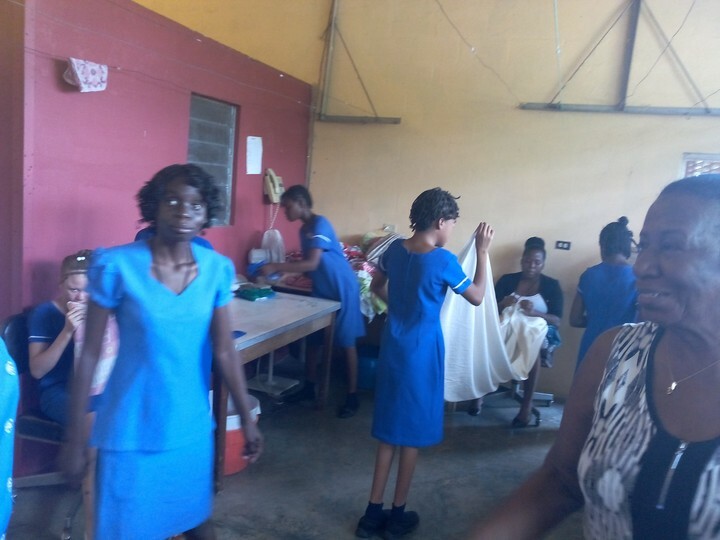 ThisIs Claudette Robinson With Some Of The Girls Learning How To Fold Laundry!